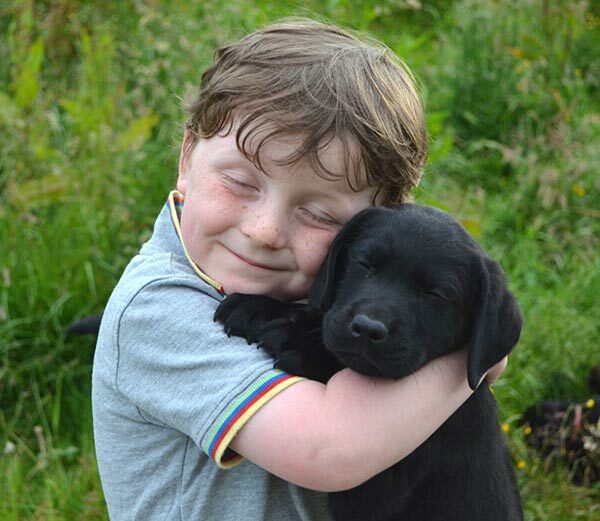 Our assistance dogs are specially trained to assist physically disabled children and adults to carry out a range of practical tasks in order to achieve greater independence. Every dog is trained to help with simple everyday tasks such as opening/closing doors, picking up dropped items, emptying the washing machine, sending for help or even helping a child with severe walking difficulties to walk with greater ease and balance. Each dog is trained to cater for the needs of the specific client to enable them to live life with greater independence. WHAT DOES AN ASSISTANCE DOG DO? Disability can lead to isolation, loss of confidence and feelings of low self-esteem. Not only that but for many people living with a disability being unable to do even a simple task like picking up the post can leave them feeling depressed and dependent. Dogs for the Disabled trains dogs to assist with practical, everyday tasks to help a person with a disability to live life to the full, breaking down barriers to the outside world and helping to improve confidence and stress levels. 85% of our applicants are children living with a physical disability and the difference one of our highly trained assistance dogs makes is priceless. We depend entirely on donors like you, as we do not receive any government funding!